You only need a few hours of sunlight everyday to keep your Cam charged around the clock. And it also comes with a rechargeable battery pack, so you'll always have backup power just in case. 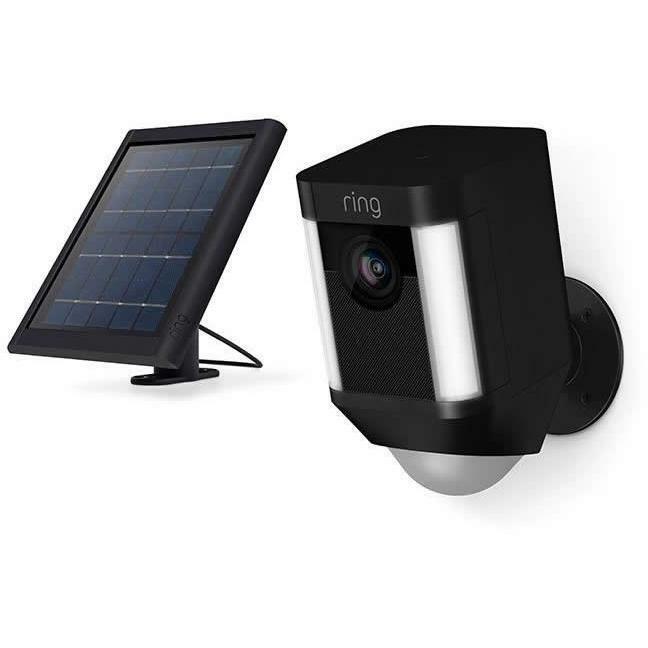 Add an extra layer of protection to any home with Spotlight Cam Solar, a solar-powered HD security camera that lets you see, hear and speak to anyone on your property from your phone, tablet and PC. 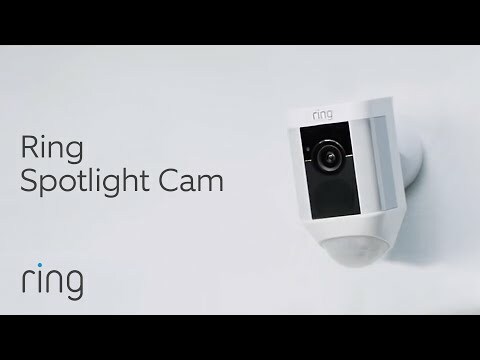 Get the ideal setting for your home with Ring's adjustable motion sensors. When motion is detected, you'll get an instant mobile alert, so you'll be the first to know when anyone steps on your property. With built-in spotlights and night vision, you'll get crisp HD video at any time, with or without the lights on. For even more security, the 110-decibel alarm will let you scare away any suspicious strangers.